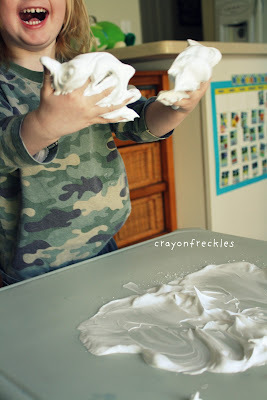 finally broke out an activity that i used to do at the center with my favorite kid-erpillars! an activity like this can be used for lots of things. simply, it can be a seNSoRY experience. 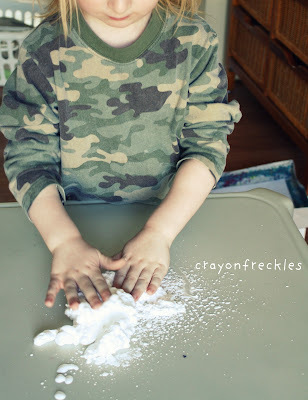 it can be added into dRamATiC pLaY by burying animals in it so they can find them in the "snow." 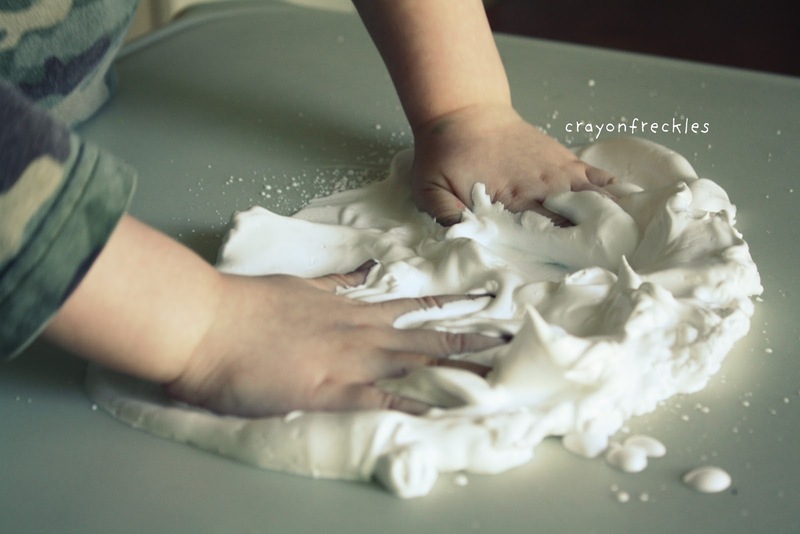 it can also be used as a LiTeRArY tool where children can write letters or their names in the foam. 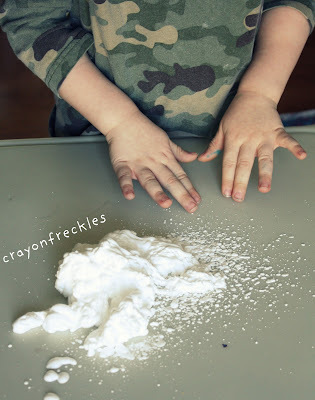 since this was the first time we had done this, i'm using it as a pure sensory experience unless he leads the way into something else. "it's okay, to touch." "what are you going to do with it?" once he understood that it was okay to do so, he dove right in! after a few minutes of gentle exploring, Bear gave himself over to the experience. can you see the smile on his face? the aHa! moment...i love this picture. 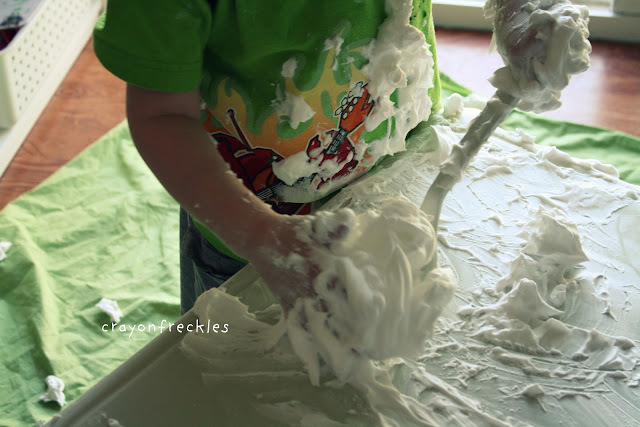 if you're not meSSy, you aren't having enough fUN! Looks like he's having a blast! There's a teacher at my son's school that teaches cursive writing with shaving cream. The kids love it! My little one would be very hesitant at first, too. :) Thanks for linking to Things I've Done Thursday. 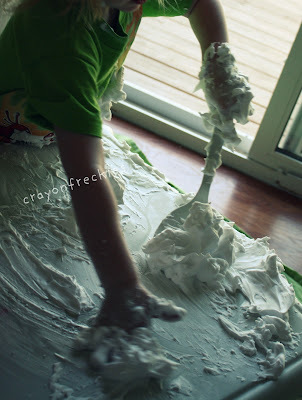 What an awesome sensory experience! 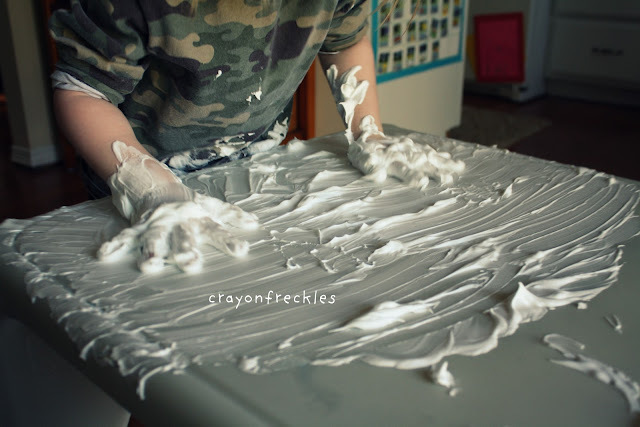 My girls both loved the shaving cream tables in preschool. Thank you so much for being a part of "A Little Birdie Told Me..." at Rook No. 17! Thanks for reminding me of this fun activity! 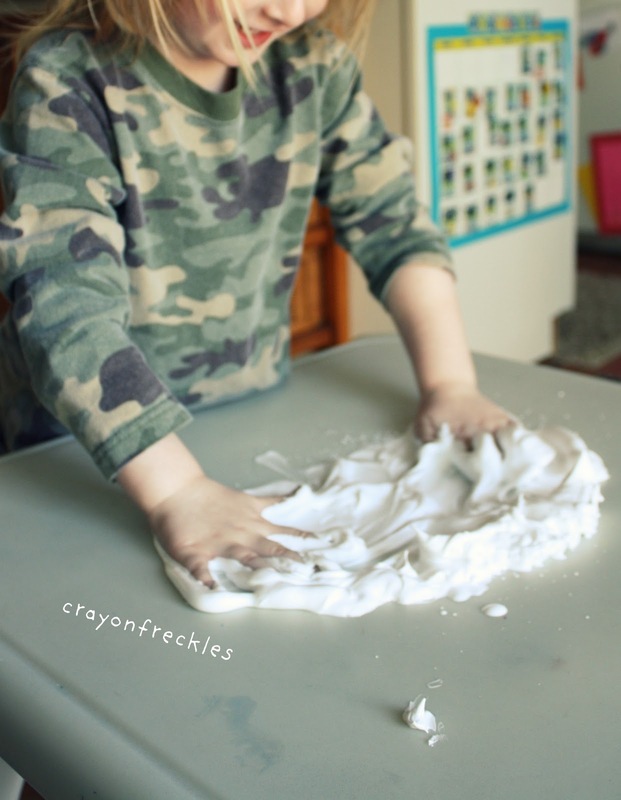 We love to take a container of oatmeal and dump it into a shallow pan... great for playing trucks in, and it keeps my little guy busy when I'm making dinner.